I don’t know about you, but Mother’s Day stresses me out every year. 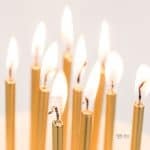 May is the month when everything happens – graduations, school programs, and 25 end-of-year gatherings. I don’t know who was in charge of the original Mother’s Day date, but they should be flogged with a wet noodle for picking the month most likely to put moms over the edge. In our family there are three birthdays and an anniversary in the four day span surrounding the day I’m supposed to be honored. On top of all that, Mother’s Day is on a Sunday. Read: tights, hair, curls, ties, cowlicks, and patent leathers your 5 year-old cries over. I almost died every May when the kids were growing up. The stress of pulling off five celebrations was like herding cats while riding backwards on a unicycle. Circus, anyone? If making it through Mother’s Day is on your top 10 list of things to achieve without losing your mind, you’ve come to the right place! We can alleviate some of your stress with time-tested advice from 13 mothers! Now go lie in the fetal position and read this and don’t come up for air until you’ve done so. Even if a kid is screaming his head off and flinging ketchup and green beans from his high chair. You’ll both be glad you did. Is it really possible to enjoy Mother’s Day? *This post may contain affiliate links. Should you choose to purchase certain advertised items, I will receive a small compensation at no extra cost to you, which will help keep this blog (and the coffee) going! You may view my policies here. Have you seen those computer-generated mosaics where thousands of images are selected, sorted, and arranged to create an overarching picture? That’s your parenting. Bad days don’t = bad mothers and good days don’t elevate you to super mom. In the end, it’s a pattern of wisdom, restraint, kind gestures, and loving moments that overshadow the times you yelled, forgot to send lunch money, showed up late to the award ceremony, or let them learn a lesson that ended up being more than you counted on them learning. Here’s some good news I continue to be amazed by and wish someone had told me earlier: They remember the good stuff. You remember the good stuff. Hindsight is NOT 20/20 — it’s rose-colored. We may remember some of the hard, but we reflect on the sweet. God gives you a highlight reel. It’s called grace. I’ve never had unmet expectations for Mother’s Day (unless you count kids who don’t complain, but that’s not exclusive to Mother’s Day!). I think that’s because early on, my husband asked me what I wanted or wanted him to do on that day. What I wanted then was to go on a picnic! I still enjoy that, so we do it when the weather allows. I think my greater struggle on Mother’s Day is feeling like I’m not worth celebrating. That maybe, somehow, I’m the wrong one for the job. But God knows better than I do. All of us who feel like we’re not quite enough can find encouragement in three messages that God sent to Mary, Jesus’ mother. As a mom, try to relax and enjoy your day. Take lots of pictures. Give and receive hugs. Share funny memories, and laugh, laugh, laugh. Your kids may not do what you’d like, wear what you’d like, or give you what you’d like, but you can still enjoy your time with them. Make the most of every minute! 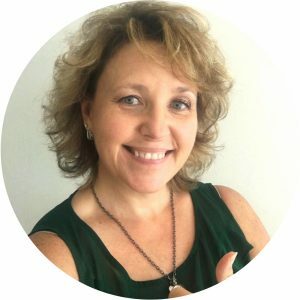 Melanie from MelanieRedd.com, 5 Things every daughter needs to hear (Scroll down to grab your Free Family Pack of conversation starters! Our expectations can be our worst enemy! We can build up a day to be this extravagant thing when in reality it’s often full of the same everyday life stuff. Kids have tantrums and plans fall apart. I have been learning to let go of expectations because life with little ones is often full of unexpected moments. When you let go, you are able to see the beauty in the unplanned. 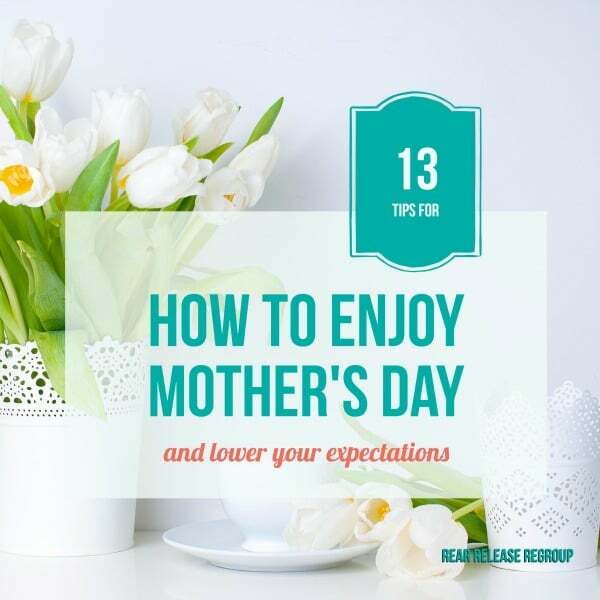 With all the commercialism surrounding Mother’s Day it’s easy for us mamas to expect a big, fancy demonstration of love. 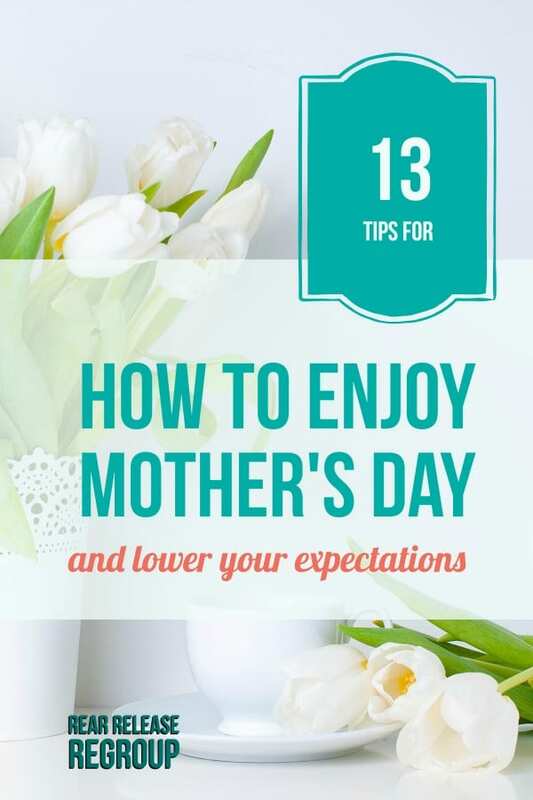 I’ve had twelve Mother’s Days under my belt so far, and if it’s one thing I’d suggest to new and less seasoned mamas is to manage your expectations wisely. Sure, flowers and a day at the spa would be nice, right? But remember that your worth is not measured by the number of gifts you receive on that one day of the year. So, whatever Mother’s Day looks like for you, I hope that you will focus on the blessings that you already have. And by the way, you don’t have to wait for Mother’s Day to get some much-needed downtime. Any time during the year you can enjoy a simple, stress-free get-away that will help rejuvenate your spirit and help you keep your mom sanity. Get your free personal retreat guide here to plan your own gratitude retreat. And then go hug your kids and let them know how thankful you are simply being their mama. Click on this graphic for your Mother’s Day Sanity Saver Pack! 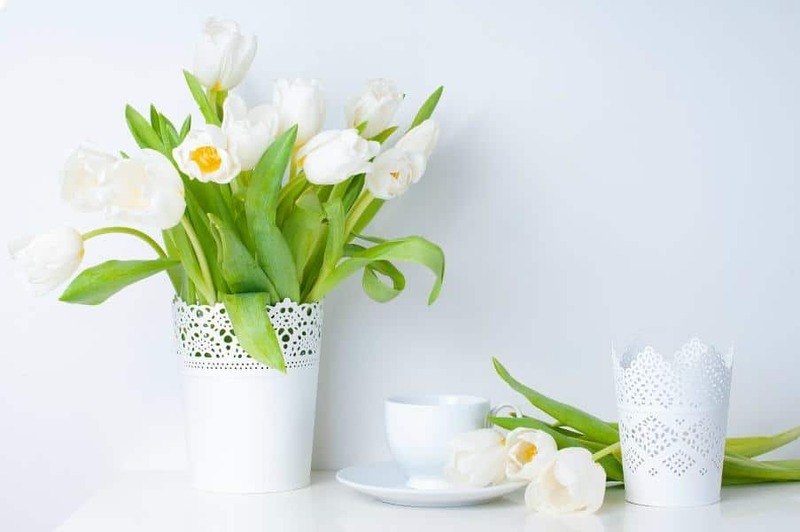 When Mother’s Day rolls around, television and social media images of flowers and gifts can give us high expectations of how our families might celebrate us. Those images are a far cry from the homemade cards my brothers and I gave to my mom back in the day. Around my house Mother’s Day is almost a non-holiday because it comes right after my birthday, so my people are kind of gifted and flowered out by then. After years of feeling disappointed when my expectations went unmet, I’ve learned to relax and enjoy simple gestures of appreciation, like a hug, card, or text message. Mom, you may not see fireworks to celebrate you on Mother’s Day, but you can rest in knowing God sees and applauds your 24/7 work. Follow this link, and I have a gift for you over at my blog; 10 Days to More will show you 10different ways to study God’s Word and draw closer to Jesus. 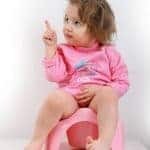 No matter if your children have come after piles of paperwork, the pains of labor, the cut of a c-section, years and years of prayers, or in a sudden flash of unexpected news, you may feel something is wrong, and somehow, someone messed up. 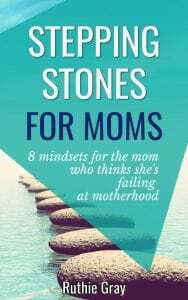 No stage of motherhood is free of guilt. Right now is quiet time. We are going pray to God. You can too. Ask God to help you with something you are struggling with. What are you struggling with, Mommy? No matter if your children are a thousand miles away while you finalize an adoption or they are standing right in front of you, you feel the guilt. It sits in the pit of your stomach. Maybe in the back of your mind. A deep fear that you are not the right choice for these children. You are messing it all up. Mothers—as portrayed by the greeting card industry and made-for-TV-movies—are supposed to want certain gifts for Mother’s Day. These theoretical moms are thrilled by flowers or chocolate or poems written in their honor or extra attention or breakfast in bed. And no doubt many real-life moms are delighted with these gifts. But the rest of us just want sleep. Because we are mothers, and so we are tired. This is what Mommy wants for Mother’s Day, and this is what you are going to give to her. What I wanted was for my girls to sing in church with me. We were heavily into belting out “Here I Am to Worship” in the minivan in those days, so that’s what we planned to sing in church. We did a run-through during Sunday School, and my two-year-old took it literally: she spent our rehearsal running through the sanctuary. An usher observing the scene commented wryly to me, “This is going to be interesting.” Indeed. But when the time came, my little runner stood on her stool and sang her heart out. At one point, though, she didn’t know what to do with her hands. Should they be at her sides? Holding the mic stand? So she looked at me, saw that my hands were clasped in front of me, and adjusted her hands the same way. I imagine that in another ten years or so, I’ll be able to watch the video of that moment without crying. And again this Mother’s Day, I’ll cherish the memory of that unexpected gift. Preferably while I’m drifting off to sleep for a nap. By the time Mother’s Day rolls around, the hustle and bustle of the spring has left me worn and weary. I’m usually in desperate need of peace and solitude, and clinging tightly to the 10 Bible Verses for the Worn-Out Woman. My weariness is how the tradition of Mother’s Day Fun Day was born! Around Mother’s Day, my mom, sister and I spend an entire, child-free day together. We eat out, talk, play games and do a little shopping. 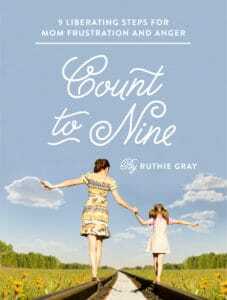 Spending time with the favorite women in my life is a blessing and exactly what I need to recharge my weary mom soul! Mother’s Day isn’t always an easy day for some of us to celebrate. There is pain associated with the day, with our own mothers or even our own kids. It can be difficult for us to want to celebrate motherhood and life on this day. That’s how my last several Mother’s Days have been for me. Honestly, I just wanted to ignore the day. Pretend it didn’t exist. Because my heart hurt too much thinking about what I had been missing out on all of my life. What was stolen from me by mental illness. Friends, that is not a fun way to live. Actually, there is no life in that way of thinking at all. It might be true. But it isn’t for us. 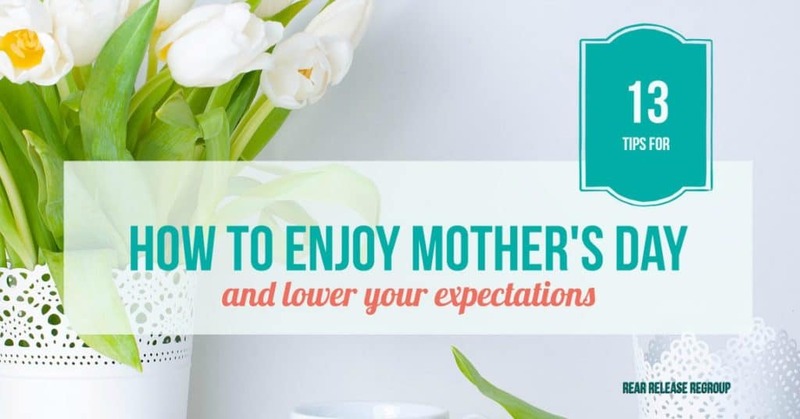 If Mother’s Day is painful for you, can I encourage you to celebrate anyway? 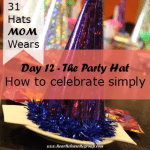 It doesn’t matter how you celebrate motherhood. There isn’t a right way or wrong way. It might mean a quiet afternoon reading or a walk along the beach. I’m choosing to celebrate this year. It won’t be easy, but it will be good. Good for my heart. I want my heart to remain soft and tender. And that means doing hard things sometimes. When you’re a Mom every day is Mother’s Day, isn’t it? I mean, each day has it’s priceless moment, something you will cherish in your heart like Mary did as she raised her little Jesus. Sometimes you really have to look for it amid all the diapers, laundry, and weird smells, but it’s always there. Those kissable cheeks, the spontaneous hugs, the pudgy hands gripping your fingers, the giggles and cuddles… those are the precious things that make up a Mother’s day. I believe every mother’s day should be swaddled in prayer. Lots and lots of prayer. I’d love to join hands with you in prayer for your children via our 30-Day Prayer Dare for Parents, an email challenge that will guide you through thirty topic specific, Scripture based prayers for your children. My favorite Mother’s Day memory was actually prior to having my babies! That year, I was 6 months pregnant with our first son, and hormones were coursing through my body. I had come home from work and was busy making supper, and all of a sudden the doorbell to our apartment rang. My husband wasn’t home from work yet and so I went to answer the door. When I opened it, there was no one there. I looked out into the hall – it was empty. I went back to the kitchen and the scene repeated itself. But this time, I also looked down. There, wrapped up in a sweet little bow, was a tiny white teddy bear with a heart stitched into it, and the words “I love my mommy!” over the heart. Of course, tears flowed… It was the sweetest thing my husband could have done that Mother’s Day! I’ve had more than a handful of Mother’s Days, and each one was unique. Some years I was on full mom-duty, other years I had a respite from that. One year, I boycotted Mother’s Day and ran away! Mother’s Day is not always sunshine and roses. Remember: God entrusts precious souls into our care. Motherhood is a gift. Even when you feel under-valued and unappreciated, your work matters to God. Being a mom is a joy and a privilege. Dear mama, I know I speak for all the wise mothers in this post when I say I know how you feel. We’ve been around the blog block a time or two (some of us have been around it 25 times or 50). 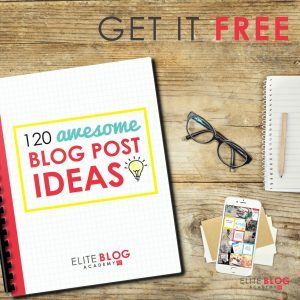 Pick a post or two from this list for encouragement and select a pretty download to “treat yoself”. There is joy in the journey. Get ready to capture that joy! Welcome to Tuesday Talk Link Up! 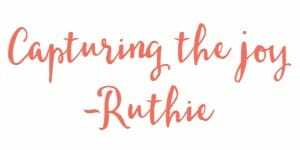 Great post Ruthie and friends. It will take me all week to process it all the goodness. I love your real-ness too, friend, you know that’s why I wanted you to be a part of my Mother’s Day Posse! You make me LOL on a regular basis and I know my readers loved your input. The pie chart was GOLDEN. These are such fun tips, Ruthie. I’m so happy to partner with you to help make Mother’s Day a little more manageable and stress free. Believe me, I’m taking notes too!